Get your brand on the slopes this winter! Whether it’s for on-the-job purposes or to get recognized on the snow you’ll on-point with your logo embroidered on this fashion board toque. The Acrylic winter hat is perfect for your cottage retail brand and for fashion conscious businesses. Our exceptional custom embroidery will be sure to get your brand or business noticed. Stay warm on the job and look trendy with your logo embroidered on this Lumber Jack Plaid toque. 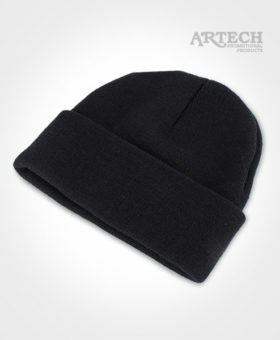 The Acrylic winter hat is a crowd pleaser for construction and retail industries. Our exceptional custom embroidery will be sure to get your brand or business noticed. Stay warm on the job with your logo embroidered on the popular AJM Acrylic / Polyester Micro Fleece Toque. 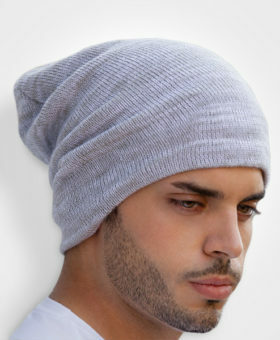 Promotional Winter Hats are an excellent way to get your brand or business noticed. New Era Snapback Caps will make a statement for your business, event or brand and these hats aren't going out of style any time soon! Put your logo on top with Artech's Embroidery. Features: 100% cotton twill, adjustable closure, custom embroidery with up to 10,000 stitches included. The Original Flexfit cap is a stalwart in headwear, a classic gem that you can put you brand/event/logo to and have your friends and fans love. 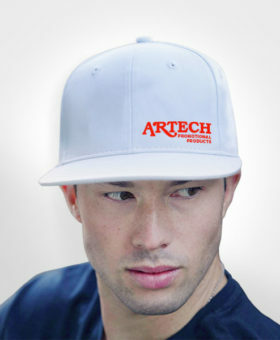 Branded Flexfit caps will set your business apart from your competitors with custom embroidery from Artech Promotional. 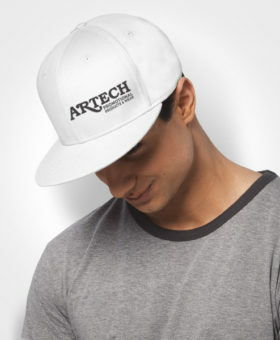 One of most affordable hats, the constructed light weight brushed cotton twill cap is perfect for a promotional gift or team wear with your custom embroidered logo. The Deluxe Chino Twill Cap is modelled of the popular snapback style and this hat is a real winner for embroidery off promotional merch and apparel, team wear and a staff collective with a younger age group looking for modern styles. Embroid your logo on custom winter long knit acrylic hats. Up to 10,000 stitches included for your design with unlimited colours. Call or email for a quote for additional specifications, multiple embroidery locations or large designs. We can also personalize each toque with team or employee names. Embroider your logo on custom winter short knit acrylic hats. Up to 10,000 stitches included for your design with unlimited colours. Call or email for a quote for additional specifications, multiple embroidery locations or large designs. We can also personalize each toque with team or employee names.